Our wines are available for purchase only directly through our winery. Our famous coffee- and chocolate-infused Vino de Mocca is just one of our many popular, award-winning wines. We have expertly refurbished our wine-tasting areas to afford visitors ample counter space and attention from our wine-tasting staff. We do not rely on distributors to sell our wine. This allows us to discount the wines steeply: all of our wines retail for close to $20 per bottle—and you may purchase any 6 bottles for 30% off, any 12 bottles for 50% off, or pay just $100 per case when you buy 3 or more cases! Our motto is to over-deliver relative to our prices. Wine-tasting appointments are not necessary, but groups of seven people or more should make a reservation. For a tour, picnic, dog walking, sports reservation, a wedding or other special event, please contact us in advance. 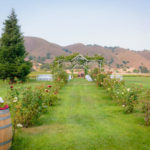 Business owners who wish to provide a special gift to their clients and couples planning a wedding should contact the winery to design a custom label. The winery is build up of a core team of employees that work in Wine making, Business Development and Business Operations.